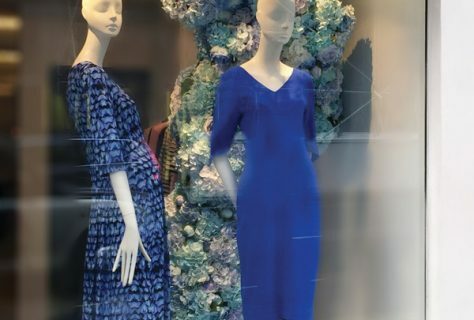 As the English summer tries to make its mind up, store windows across the country are trying to brighten up your day through their choice of VM & Window schemes. 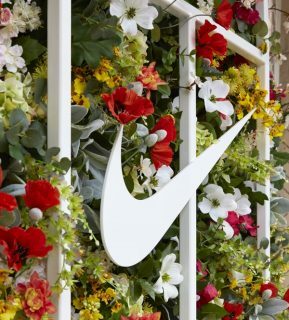 Here is a collection of windows that are aiming to put a spring into your step with their own secret garden inspired displays. On London’s Conduit Street you will see a beautiful scheme at Goat. 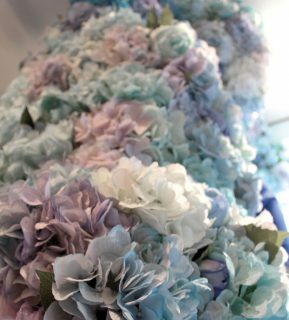 Using a tone of soft blues and violets that reflects their new SS16 range of floral prints they begin to promote and launch their new collection. The sculpture flows inside and out of the store and will remain in place until Goat launches its first AW16 window towards the end of August. 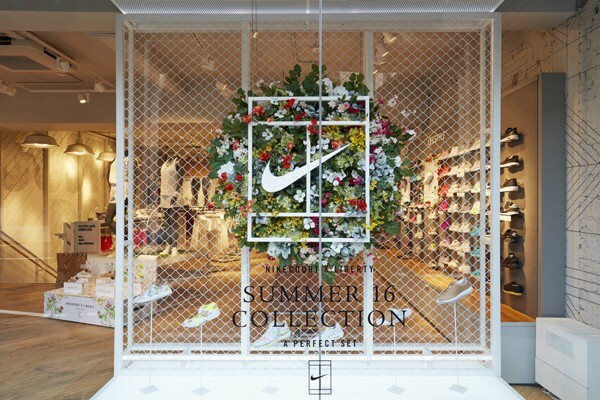 In celebration of the NikeCourt X Liberty Summer ’16 collection a 3D window display and in-store experience has been launched. 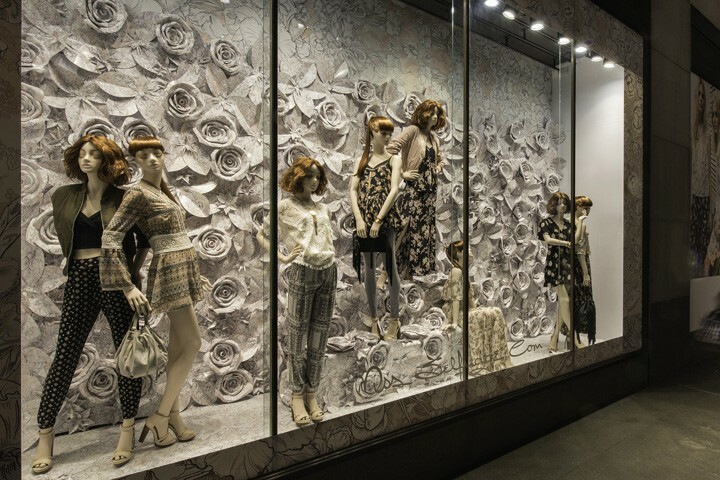 This display features a dawn meadow pattern which is inspired by botanical drawings from the Liberty Archive. 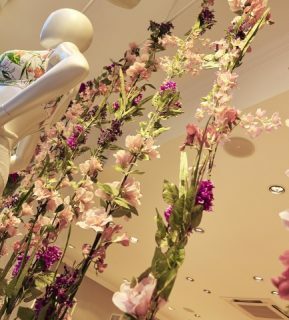 They even used floral and sweet scented diffusers instore to add to the 360 sensorial experience. 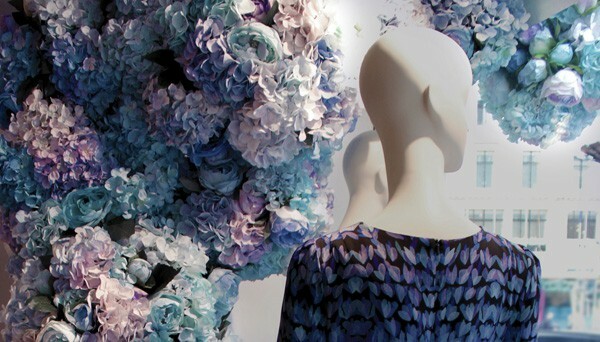 Bravissimo / Pepperberry spring window display features thousands of silk flowers which are linked together to create beautiful hanging garlands. 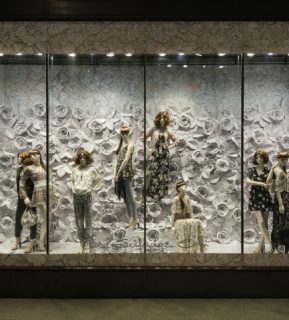 A colour palette of pastel pinks and lilacs compliments and enhances the product on display. 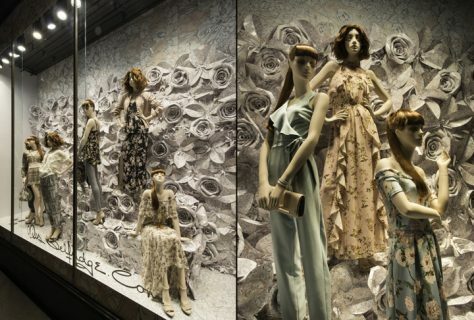 Miss Selfridge flagship store London features over 120 individually constructed card flowers positioned both on the inside and outside of the store windows.